Scioto County made the Top 10 in unemployment figures recently released, but it was the wrong Top 10. “Are we happy with where we are? No, of course not,” says Commissioner Bryan Davis. Sometimes finishing in the Top 10 isn’t all you hoped it would be. 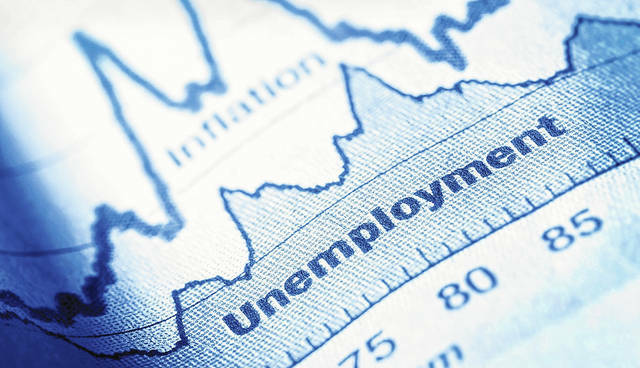 According to figures released in late March by the Ohio Department of Jobs and Family Services in conjunction with the U.S. Bureau of Labor Statistics, Scioto County racked up the 10th worst unemployment rate of the 88 counties in Ohio. For February, the local unemployment rate was 7.4 percent. Among all Ohio counties, the dubious distinction of having the highest unemployment rate went to Monroe County in far eastern Ohio, where 10.4 percent of the population presumably is looking for work. The lowest unemployment rate among Ohio’s counties was nearly 8 percentage points lower. Mercer County in extreme western Ohio won that distinction with an unemployment rate of 2.9 percent. In Scioto County, the size of the local workforce was given as 29,800. The number of employed persons was 27,600; the number of unemployed persons, 2,200. The 7.4 percent unemployment figure was a decrease from the 7.9 figure reported for January. It was also more than a full percentage point better than the 8.6 figure given for February 2017. The state will release figures for March later this month. From January, unemployment rates increased in four counties, decreased in 83 and remained the same in one county. The comparable unemployment rate for Ohio was 4.8 percent in February. Seven counties had unemployment rates at or below 3.5 percent in February. The counties with the lowest rates, other than Mercer, were Delaware, 3.2 percent; Auglaize, Hancock and Holmes, 3.3 percent; and Union and Wyandot, 3.5 percent. Five counties had unemployment rates above 8.0 percent in February. The counties with the highest rates, other than Monroe, were Meigs, 8.8 percent; Noble, 8.4 percent; Morgan, 8.2 percent; and Ottawa, 8.1 percent. Despite the seemingly troublesome local numbers, Scioto County Commissioner Bryan Davis says the county is doing better than it has historically. “Are we happy with where we are? No, of course not,” Davis admits. But he pointed to economic research provided by the Federal Reserve Bank of St. Louis. The federal website tracks unemployment in the county to 1990, and shows unemployment figures peaked at 15.8 percent in January 2010. The previous high was 15.4 percent, which hit in January 1992. Five years ago, in February 2013, the local unemployment rate sat at 13.1 percent. Davis says county commissioners are constantly striving to improve area unemployment numbers, while working with the local Ohio Means Jobs Center and the Scioto County Technical Center in Lucasville. Davis says he will not be satisfied with the situation until everyone in the county who wants a job has a job. At the recent annual meeting of the Scioto Foundation, the keynote speaker suggested a long-term strategic plan might be a great tool for economic development in the region. Torey Hollingsworth, manager of research and policy with the Greater Ohio Policy Center in Columbus, said such plans have been of great use in other so-called legacy cities, which are defined as older industrial urban areas that have experienced significant declines in population and jobs. Portsmouth is one of 20 small to mid-sized legacy cities in Ohio. Davis says he has nothing against the idea of strategic planning, but he believes some of the work Hollingsworth recommends is already being done. In a follow-up interview after her talk, Hollingsworth spoke of the of worth of the planning process itself, how it can bring together officials from various levels of government and identify specific problems and resources. For his part, Davis says Portsmouth and county officials are already beginning to work together more and more, noting that, historically, that definitely hasn’t always been the case. As an example of the improvement in communication between the two sides, Davis pointed to a meeting with Portsmouth Acting Mayor Kevin E. Johnson about ensuring funding for Scioto Access, the county’s public transportation system. Davis also noted how the county helped fund a municipal swimming pool in Portsmouth. “Yes, it’s a municipal pool,” he says, but added those using the facility all are county residents. Davis further pointed to possible county involvement with plans for a dog park as well as a skate park in downtown Portsmouth. “We are working on multiple fronts,” Davis says. Lastly, Davis observed how little he sees of the county’s economic development team, which indicates to him that those people are out and about working for the betterment and economic growth of Scioto County. https://www.portsmouth-dailytimes.com/wp-content/uploads/sites/28/2018/04/web1_Unemployment.jpgScioto County made the Top 10 in unemployment figures recently released, but it was the wrong Top 10. “Are we happy with where we are? No, of course not,” says Commissioner Bryan Davis.